I’ve built a detailed list of some of the best accessories for the Olympus OMD E-M5 II. The camera comes stock with everything you need minus the memory card, but for those of us the like to add a little extra to our cameras these listed accessories can come in handy. Over the last few months I’ve been on the hunt for a good leather case for my X100T. My concern has been if the slimmer camera design would be an issue in these cases designed for the X100 or X100s. So as an experiment I decided to grab the Gariz, it seemed like the best option since it has a solid base which allows for a tripod mount. See the full review and sample photos. If you’re a Sony owner like myself you might know that there are some really cool accessories and gear you can get for your Sony A7ii that will help you protect your camera and personalize it to your style of shooting. Here is a list of some really great gear you should consider if you own a Sony A7ii, Sony A7rii or A7sii. A list of a all the best Lens Hoods, Screen Protectors, Cases, Straps, Thumb Grips, Soft Shutters and more. 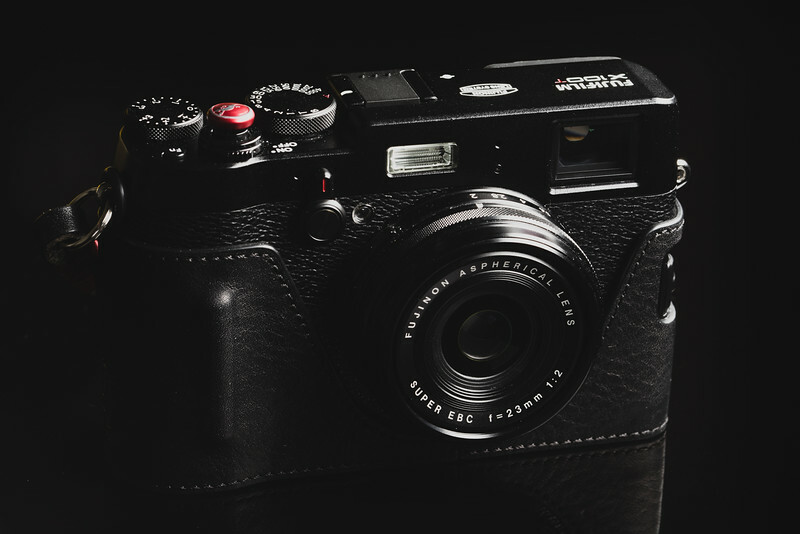 For the Fuji X100T, X100 and X100s. 5 Techniques and items every photography should know about to safely and easily clean the sensor on your mirrorless camera.